Softaculous is a great tool in cPanel that allows installing different scripts like WordPress, Joomla, Magento, etc. in a click of a button. 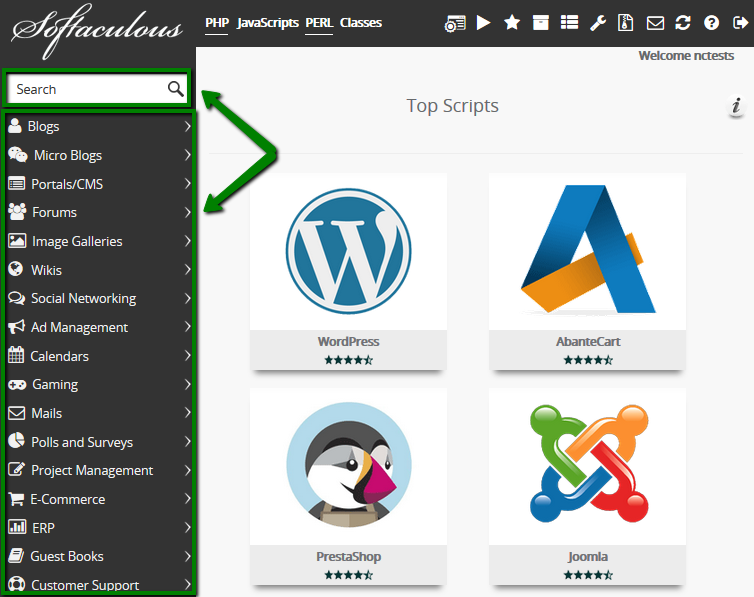 However, Softaculous is not just a script installer, it has a number of features, which can make managing your website much easier! So, taking a few minutes to look through this article will definitely show you how to manage your websites in a more efficient way. You can install different software on your site in several clicks using the Softaculous auto-installer following this article. 3. 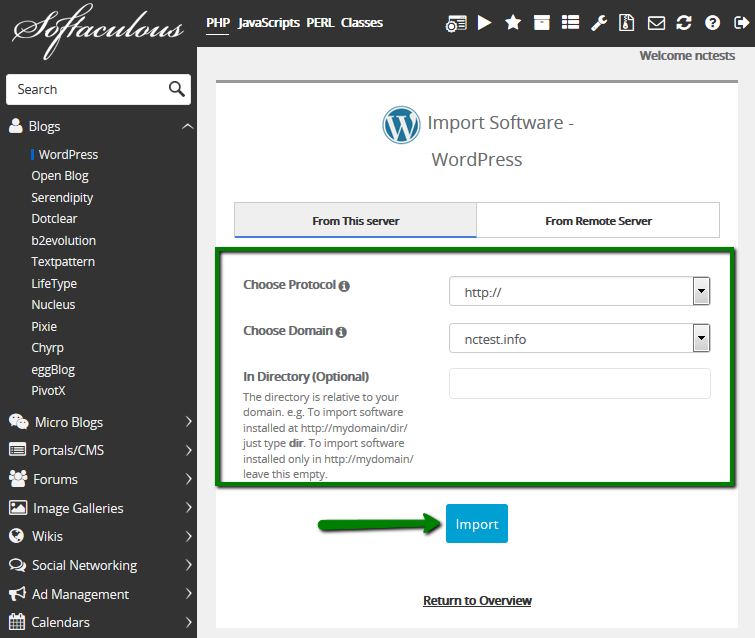 Click on Import button. You will see Congratulations page if everything’s done properly. 4. Click on Save Installation Details at the bottom of the page. 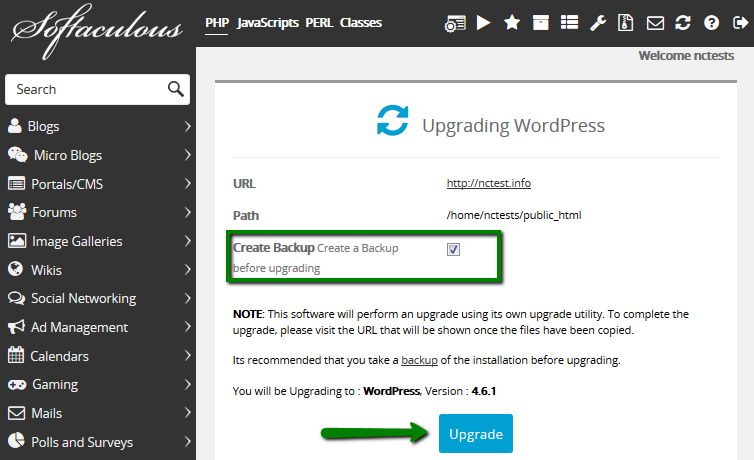 NOTE 1: Auto-upgrades may fail or break your website, but Softaculous always makes a backup of your installation right before performing an auto-upgrade, so you will be able to return back to a working version of your website by restoring that backup. NOTE 2: When using Backup Rotation option, you are allowed to set 10 automatic backup copies maximum per each script you have installed using Softaculous. 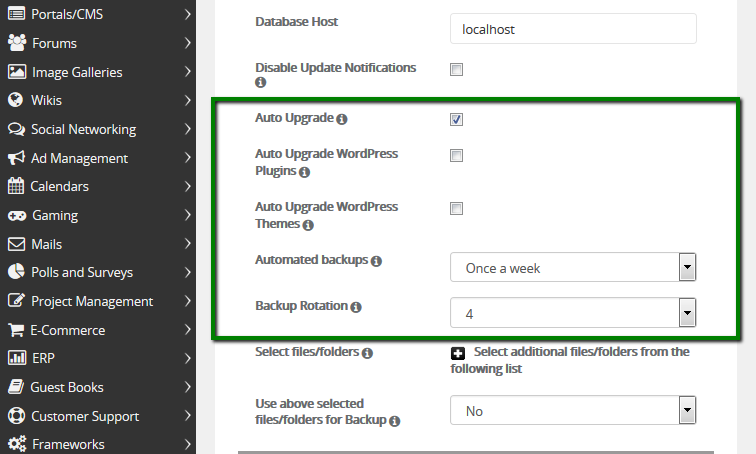 Thus, when the eleventh copy of your site is generated, it will replace the earliest backup file, the first one, generated for the website installation. NOTE 3: It is not recommended setting Backup Rotation to more than 4 copies in order not to violate Namecheap Acceptable Use Policy, which states: 'NO more than 10 GB of a shared hosting account can be allocated to any archive files'. NOTE 4: Such backups will be stored for 28 days. Once this period is over, the backup copy will be removed from the server. Since our hosting service is not intended for storing backup files and other data not related to the website's operation itself, be advised to download backup files to your local device if you need to store them more than 28 days. 4. 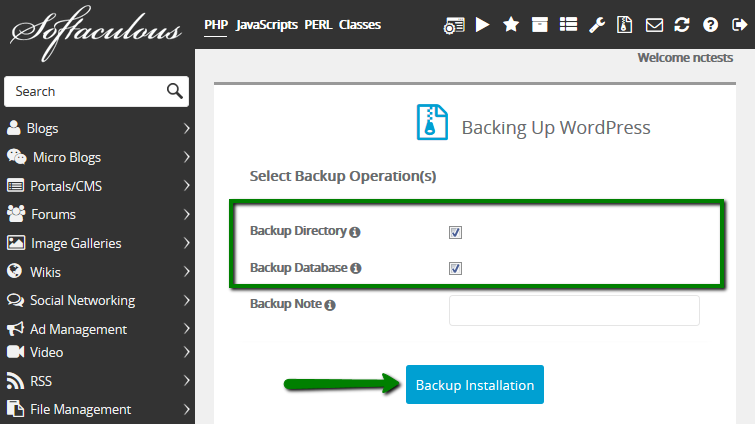 Click on Backup Installation to start generating the backup. 4. Once you are ready, click Restore Installation. Several minutes after your installation is returned to its previous state! 3. 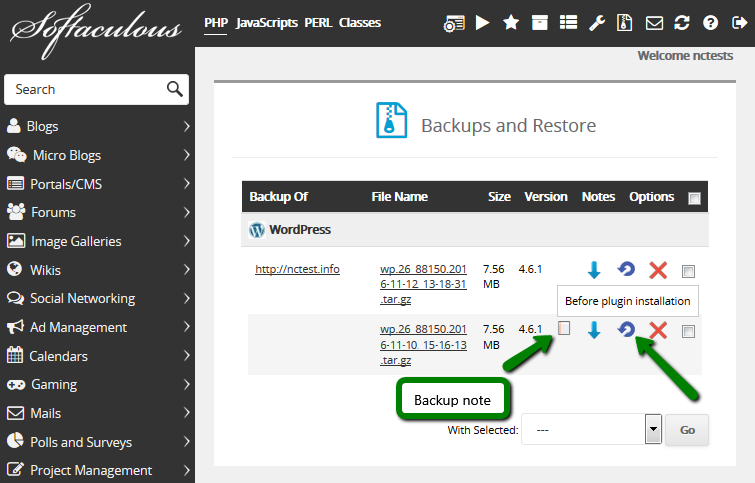 On the next page, it is necessary to check the box Create Backup. It is critical since such automatic upgrades may break your website. 4. Then click Upgrade to start the process. It can take a few minutes to complete the process and then you'll get Congratulations message. It is recommended to check the installation of your website to make sure the upgrade has not broken your website. 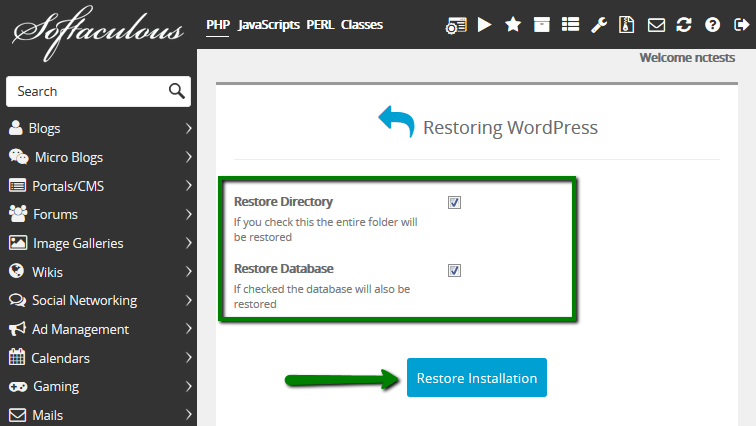 If it has broken your website, you will need to restore the backup following the instructions from the Restore backups section of this article. 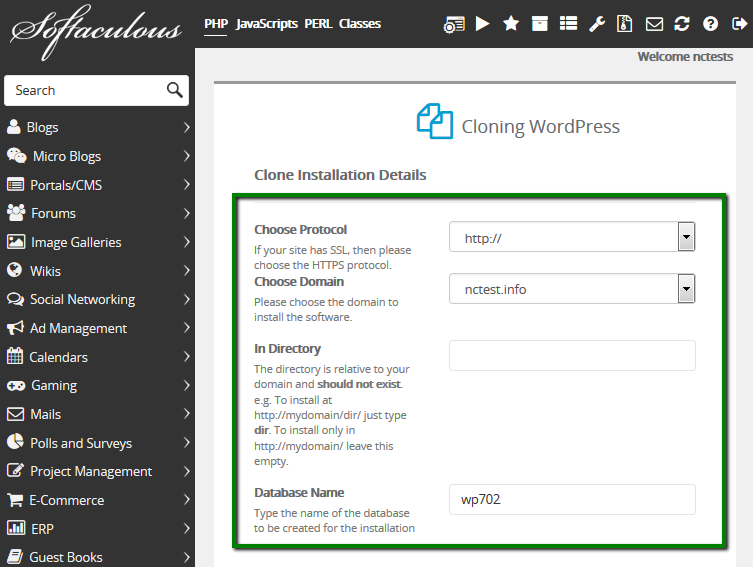 If you would like to move/copy the current installation to another directory or even domain, Clone option is exactly what you need. 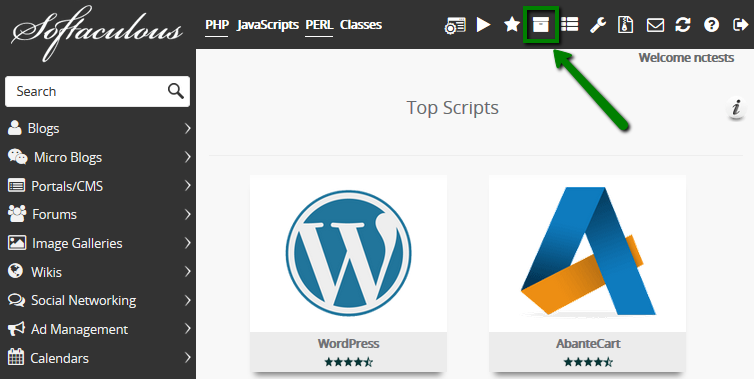 NOTE 1: Clone option is available for a few scripts only at the moment. NOTE: In Directory field should be empty if you would like to clone the installation to the root directory of your domain. 4. 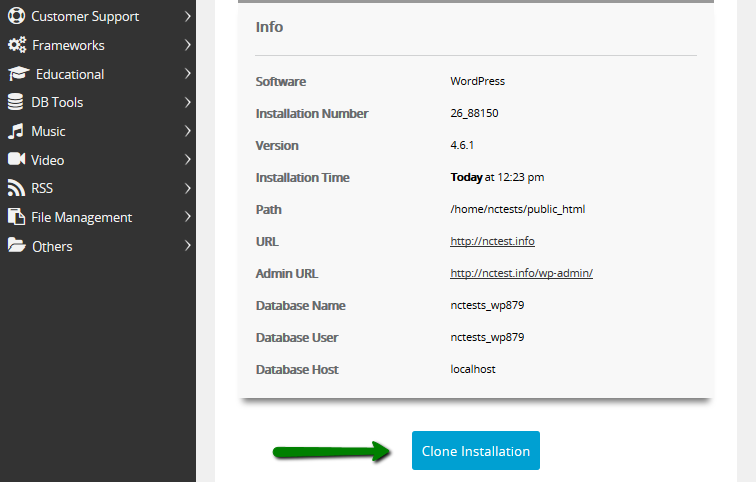 Click on Clone Installation when you are ready. As the name suggests, the Create Staging option allows for the testing of upgrades and/or other changes before pushing it to live installation. 2. Find the installation you want to create staging for and click on Create Staging. 4. Click on the Create Staging button. 5. 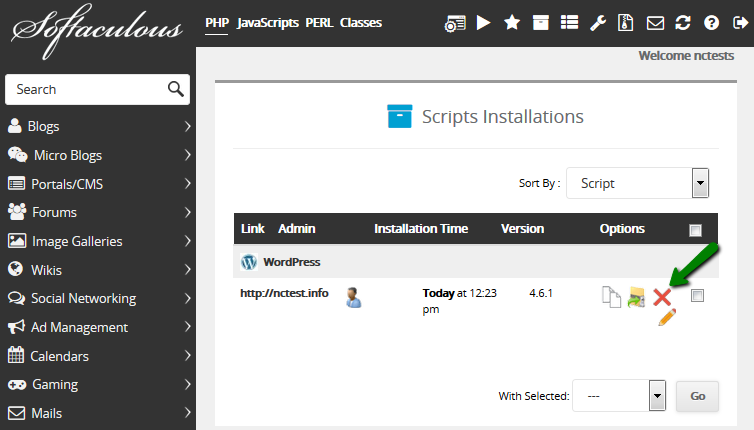 On the next page you will see the website URL and the respective link to that website’s dashboard. PLEASE NOTE: The admin/user account login details will be the same as the ones you used for source installation. 6. As soon as your staging installation is ready, you can now select Push to Live. 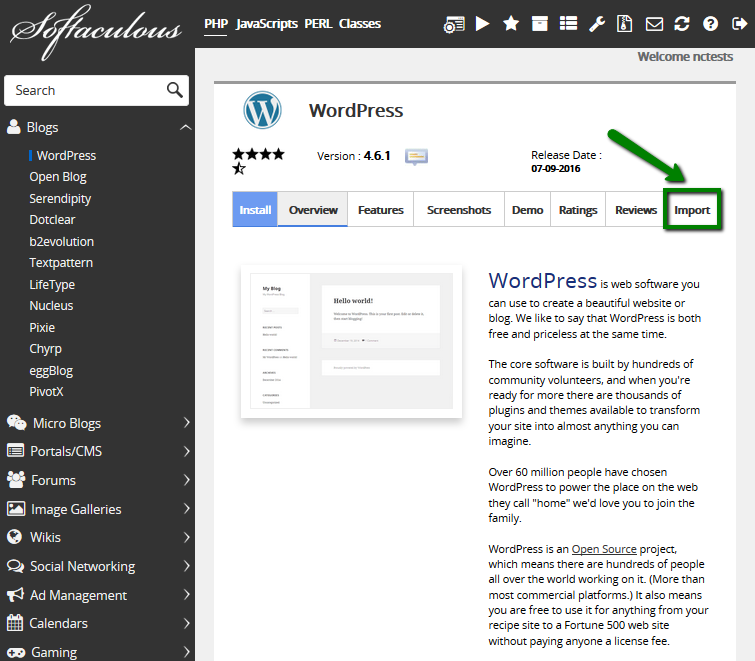 PLEASE NOTE: Every time you select Push to Live, Softaculous will automatically create a backup. The Default Push will replace all the files of your live installation with the staging installation ones, effectively erasing the live database import from your staging installation. With the Custom Push you will be given the opportunity to select those files, databases, table structures, and table data you would like to push. 8. Once you’ve selected your chosen way, click on the Push to Live button. Depending on the size of your installation, the time it takes to go live will vary. 4. 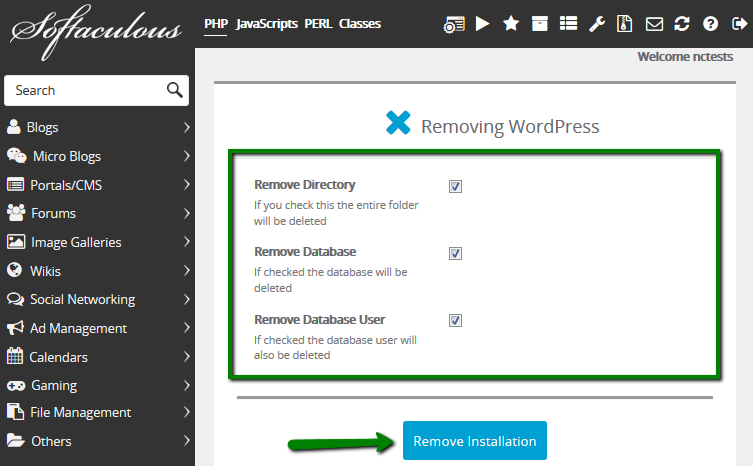 Click on Remove Installation button.